With some of the most beautiful and cleanest beaches anywhere, Fort Walton Beach is the family place to stay on the Florida Panhandle. It is the destination to relax while staying active along The Emerald Coast, and Fort Walton Beach rentals offer amenities you’ll find perfect for forgetting about the normal routines. Settle in and get ready for new adventures, as families with children can enjoy many or just relax on the beach for a while. Fort Walton Beach is a beach destination for sure. The turquoise waters and white sands stretch for miles and take your mind to a peaceful state. There are a lot of things to do, like taking the kids out to the Emerald Coast Science Center, where interactive exhibits fascinate children and adults alike. Visit the Indian Mound Museum or the Heritage Park & Cultural Center for a learning experience on the American Indian past of the region. When you head back to Fort Walton Beach condo rentals, the beach is close by. Get changed quickly and find yourself basking in the rays, reading a book, or just staring out at the beautiful Gulf of Mexico. Other amenities of this beach town include the chance to take a boat out on the water. You’ll see the coast from a completely different perspective and be refreshed by the calm Gulf waters lapping at the hull. Catch some fish or look out for some wildlife surprises such as dolphins that occasionally swim by. At the end of the day, dine at one of Fort Walton Beach’s restaurants that include chain establishments, a steakhouse, or a bistro. Since there is a full kitchen back at the rentals, you also have the option of setting up a quiet family dinner at Fort Walton Beach vacation rentals. 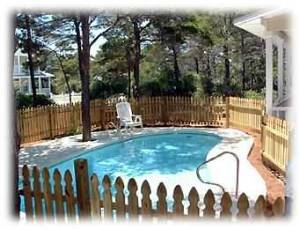 There are many advantages to staying at Fort Walton Beach vacation rentals and Fort Walton Beach vacation homes. The room you have is much more comfortable than the small confines of hotel or motel rooms. Factor in all of the perks and you might find the experience more worth the expense, and which is easier on your vacation budget that a hotel or motel. Everyone can take in the breeze and the sounds from the Gulf as much as they want. Take advantage of activities such as golf and shopping whenever you wish, and nearby Okaloosa Island offers nightlife and bands for the adults to be entertained as well. Plan around the options offered by Fort Walton Beach rentals. Modest accommodations afford comfort to appreciate the simple things in life, while luxury spaces can also suit the budget for a family vacation. Contact an owner for details, and pick the ideal place to stay in one of the more relaxing parts of Florida. Fort Walton Beach condo rentals offer the ultimate relaxing experience of beach life and a time that the family will still remember many years from now. Interested in More Fort Walton Beach, Florida ? Check out nearby Destin , Dune Allen Beach , Ft Walton Beach , Miramar Beach , Navarre Beach , Pensacola Beach , Sandestin , Santa Rosa Beach , Seacrest Beach , Seagrove Beach , Seaside .